While shares of Apple (AAPL) jumped after the company's quarterly report wasn't a complete disaster, I discussed why there wasn't a major reason to celebrate just yet. A number of the problems impacting the company in the short term won't disappear overnight, and management thus needs to make a major decision when it comes to this year's plans. Today, I'll review the situation Apple is in now and discuss what needs to be decided. This was always going to be an interesting report because Apple changed how it reported its results, detailed in this new format. One thing that investors really liked is that by providing gross margins for the Services segment, Apple showed a 453 basis point rise for that category over the prior-year period. Services gross margins of 62.8% were almost double that of hardware margins that came in at 34.3% for the period. Hardware margins were down by 180 basis points over fiscal Q1 2018. Yes, it is good to see Services gross margins increase. However, you have to remember a couple of key points. First, while this segment is growing its revenue number nicely, it still only represents about 13% of the overall total, so hardware still dominates. Second, the most important number here is likely operating margins. There are plenty of tech names out there, BlackBerry (BB), Visa (V), and Palo Alto Networks (PANW) to name a few, that have really high gross margins. That's because most of the spending is done on the operating line, so operating margins are often quite low or even negative in some cases. Finally, what were Services margins before Apple Music, Apple Pay, etc.? We are only looking at two specific points in time, so we really don't know what the long-term trend looks like. I bring up the point about operating margin for Apple because the company has been growing its operating expenses at a rate much faster than revenues over the long term. Five years ago, for example, the company spent 7.6 cents on the operating line for every dollar of revenue generated. In the just reported quarter, the number was 10.3 cents, and we still would have been close to a dime even if Apple hit its original forecast. 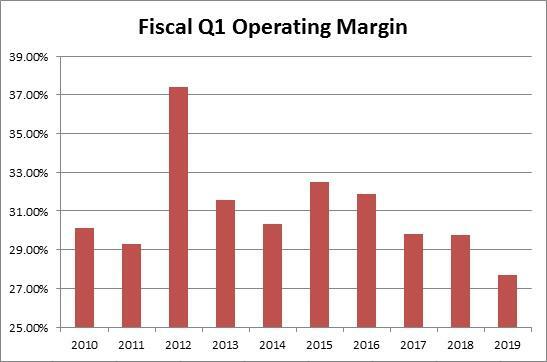 The result of this can be seen in the chart below - operating margin for the quarter was the lowest for the holiday period since the financial crisis. Now the company's bottom line didn't see as much of a hit, in this case because we were going up against the last pre-US tax cut quarter. However, that number becomes a headwind moving forward. Also, as Apple moves to a net cash neutral position and repays its low rate debt, interest income will also decline slightly. Apple's earnings per share won't look as bad thanks to the buyback, but net income and free cash flow won't be as impressive. The main reason why results were so poor in the quarter as compared to previous guidance is that iPhone sales fell, leading to a revenue decline of more than $9 billion over the prior year quarter for the device. Management blamed a variety of factors: foreign exchange, China trade war, carrier subsidies, battery replacement program, longer upgrade cycles, etc. Below, you can see the lineup that was unveiled at the September 2018 event. For today's argument, I'm not here to debate if management is at fault for the big miss. I'm just examining why it happened and what can be done moving forward. If you just look at the lineup above, you can definitely see that prices have moved higher. Gone are the days where Apple's new iPhone started at $649. That also means that previous generation prices have picked up, meaning Apple now has to have an extra generation available to reach a lower price point. 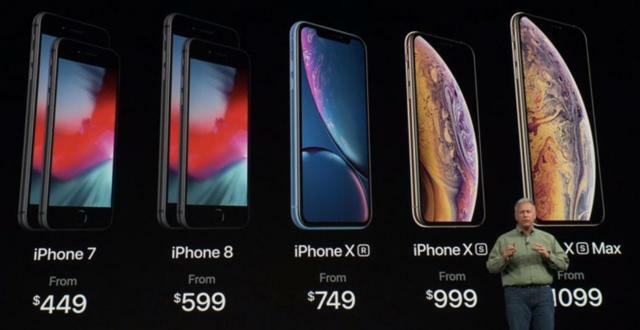 If the pattern continues, the XR will be $649 when Apple launches its new lineup this fall, so the one-year-old phone will be the price of what the new phone used to be. Yes, hardware specs have improved and the screen size is bigger, but the issue snowballs more as you go down. Especially in less affluent countries, you are having to pay a premium even for a two-year-old model versus low-cost brands that have new phones that in some cases are much cheaper. This also is a factor into lengthening replacement cycles, along with the loss of potential sales from those who don't like big screens, or in some cases, the loss of smaller screen iPad sales from the biggest iPhones. Apple made a big leap last year going to a much larger LCD screen device and a new larger OLED device. Screen sizes aren't expected to change this year. Additionally, the company isn't expected to launch a 5G compatible device until next year, which has some consumers bummed. This brings up the question of how unit sales can really improve, unless something is done to drive other revenues like adding Apple Pencil compatibility to the iPhone. The latest rumors detail that the XS Max version of the iPhone will be moving to a three camera setup, while the XR will go to a dual camera. Throw in the usual other upgrades to the rest of the hardware and you could make the argument that this year's devices could be even more expensive than last year's if those new camera setups are expensive. The rise in iPhone prices (along with other products like the Mac and iPad) in recent years has been designed to protect margins. However, that has come at a cost of unit sales, which definitely have been underwhelming. If Apple isn't going to have a major leap forward this year in terms of its iPhone lineup, how is it going to get unit sales going again? 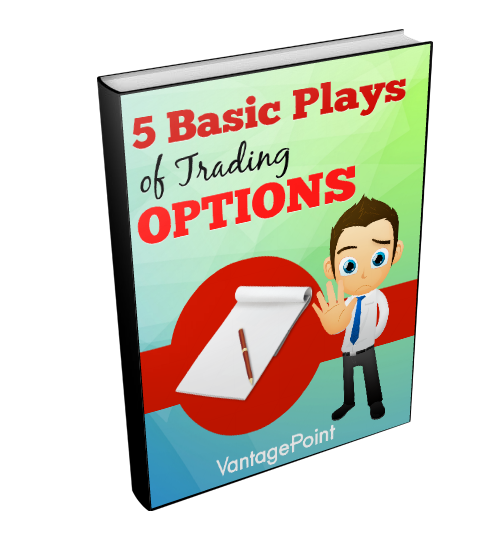 The best way to do that is on price, but that means lower margins. Apple can either keep the starting price the same if costs rise, lower the starting price, or do other promotional activities like boosting trade in values. Has the Valuation Really Improved? With Apple shares more than 27% off their all-time high, a lot of investors believe that the company's valuation has significantly improved. Well, that really is open to interpretation, because the company's expectations have also come down quite a bit. In the table below, I've detailed what the fiscal year estimates were going into the fiscal Q4 2018 report versus what they are now. Based on the EPS estimates, I've calculated a full fiscal year P/E ratio. Yes, the P/E ratio based on this fiscal year's expected earnings has come down by a little more than a point. However, you've also had the revenue growth forecast go from a decent gain to a 4% decline. Additionally, earnings per share expectations have come down at a percentage rate nearly twice as much. So is that 1.2 point decline on the P/E really a dramatic change given the lowered expectations? By the way, if you subscribe to the notion that the market trades at 15 times earnings over the long run, paying 14.9 times expected earnings for a company showing a top and bottom line decline does not make it seem like Apple is outrageously undervalued. After a disappointing start to fiscal 2019 for Apple, the company will likely need to make a decision this year on what to do with the flagship iPhone. Does management think it should continue to target high margins, or should it lower prices a little to attempt to return to unit sales growth? The name already is seeing a bit of operating margin compression, which clouds the progress cited for the Services gross margin increase. With expectations coming down quite substantially, the valuation has not improved as much as some would have thought. 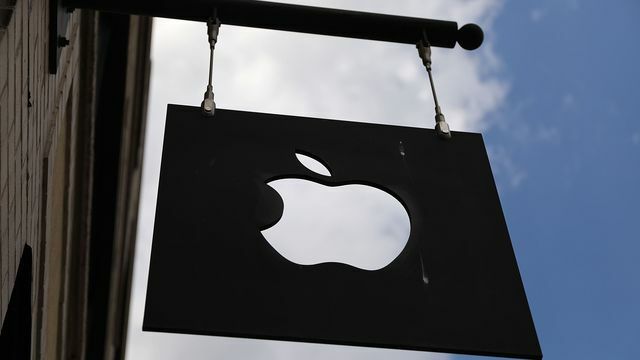 For now, Apple remains a good long-term investment, but without progress on the China trade war and or perhaps another government shutdown, there could still be some short-term hiccups as near-term top and bottom line results show yearly declines.